One of the common health issues in canine pets is dog ear infections. Fortunately, you don’t always have to rush your pooch to a vet for dog ear infection treatment. These simple, and natural, home solutions will treat dog ear infections and save you the pocket change. Ear infection in dogs is often caused by an imbalance in the dog’s immune system. A faulty immune system puts your pooch at risk of ear infections caused by pathogens like fungi, bacteria, and yeast. In most dog ear infection treatment cases, bacteria is almost always the culprit. Ear infections in dogs may start as an irritation that causes your pooch to scratch himself constantly. He may also shake his head or rub his ears on surfaces of the itch persists. If you examine dog’s ear flaps, you may also notice redness or swelling. In addition, some dog infections cause an odor in your dog’s ears. If the dog ear infection persists, there may be a brown or reddish discharge coming from the ears. A scab or crust will also form if the discharge dries out. Ear infections that are not treated immediately can advance further down your dog’s ears. This may affect vital auditory organs which can be detrimental to your pooch’s well-being. In severe cases, ear infections can cause your dog to lose his body balance, walk in circles a lot, or have unusual eye movement. Luckily, there are natural solutions in your home that can treat your dog’s ear infection. Note that these organic remedies will work when the infection is still on the outer ear. So it important that you start treatment immediately you notice the symptoms of ear infections. Coconut oil has always been termed a natural antibiotic and antifungal treatment. If your pooch ails from an ear infection, just pour two tablespoons of coconut oil in a saucepan then add two fresh garlic cloves. Heat the pan on low heat until all the oil melts to a liquid. Once the concoction has cooled a bit, use a dropper to pour a few drops on your dog’s ears. Alternatively, you can swab at his flaps with a cotton ball soaked in the solution. Oregano oil is another natural remedy that works wonders for your dog’s ears. Mix one drop of oregano oil with half oz of fresh aloe vera juice. Using a cotton ball or syringe, administer the medicine on your pooch’s ears. Never use plain oregano oil as this will irritate your dog’s skin. Apple cider vinegar is not only good for your salads, it also soothes your dog’s infected flaps. Use it to clean dirt and debris like scabs from your dog’s ears. Apple cider vinegar also clears up yeast and bacteria build up on the dog’s flaps. Mix equal amounts of apple cider vinegar and water then use the solution to clean your dog’s ears. Apple cider vinegar should never be used on inflamed ears as it will cause your pooch a lot of pain. Apply the vinegar-water solution using a syringe or cotton ball. 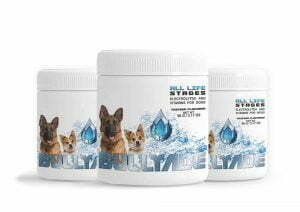 You can bring relief to your dog with any of the three natural dog ear infection treatment solutions. 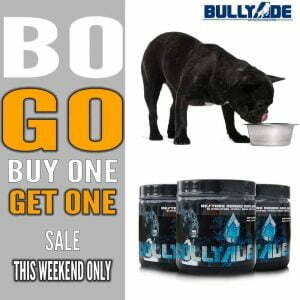 Also, ensure you boost your dog’s immune system to prevent the infections from recurring. 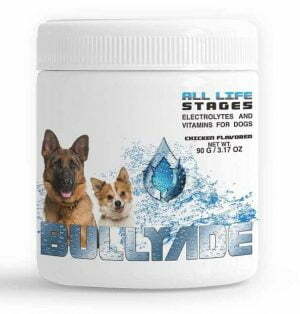 Pet supplements like Bullyade are ideal for boosting pet immune system.